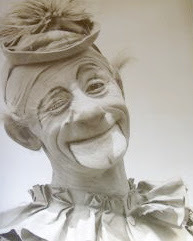 Mariano Savio in "Clown Fiorellino", 1989. CUBAN CHRISTMAS RINGLING ALLEY VIDEO 1950s: THE RAREST OF THE RARE! 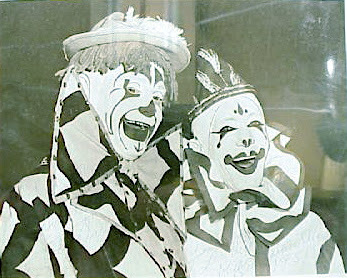 I've just received extremely rare video of the clowns of the Ringling Bros. and Barnum & Bailey Circus performing a Christmas themed number during one the Ringling show's trips to Havana, Cuba during the 1950s. 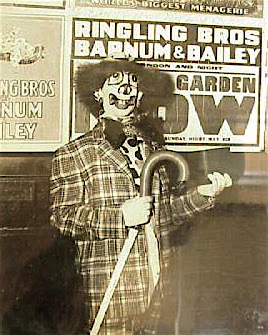 This comes from the estate of a very well known American circus collector and archivist. I am almost certain from it's pristine condition that, other than it's video transfer, this footage has gone unseen since the 1950s. 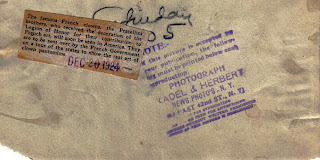 The footage features Lou Jacobs, Felix Adler, Paul Jung and Otto Griebling. 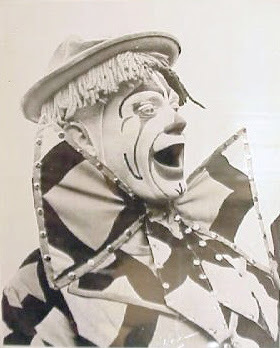 This number was revived briefly by Jackie LeClaire for the John Ringling North-produced Continental Circus during the holiday season of the 1964 New York World's Fair. Please click the title of this post for the link to the video. Enjoy! Slosh Act at the Academy of Circus Arts Graduation Showcase. "There is nothing that can be done that can't be made better by adding Benny Hill music." 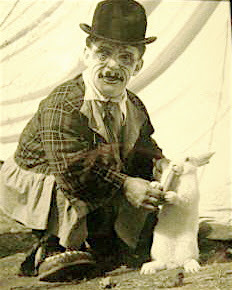 Frankie Saluto with his pet rabbit preparing for their walkaround. Eddie Dullam & Lee Virtue, looking like two Bill Ballantine drawings come to life. 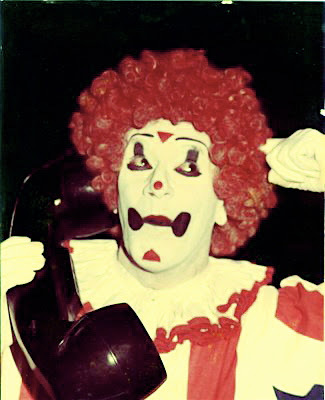 Mr. Dullam, whose makeup evolved over the years but never traded in his yarn wig. 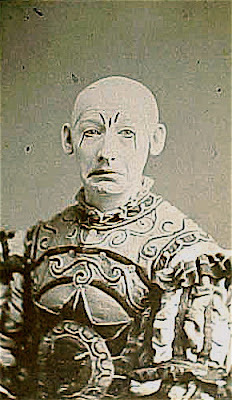 Gijon Polidor on Ringling in a photo that looks to have been taken by Maxwell Frederic Coplan. I found this on eBay this morning. 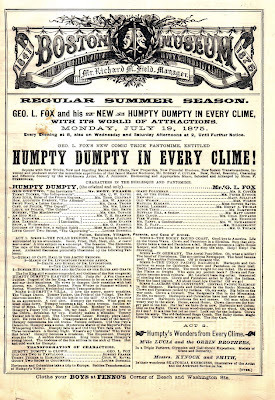 A rare large July 1875 program for the great 19th century clown G L Fox in his most famous role as Humpty Dumpty. 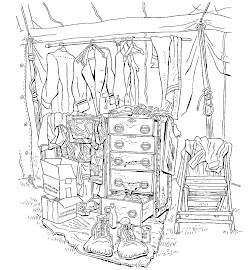 Please click the title of this post to view the eBay posting of the item. 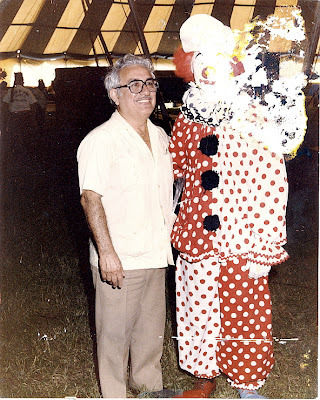 I've been asked to restore a photo of a friend's uncle and a clown, taken about 1991-92. I worked out that the photo was taken at a Shriners' circus (by zooming in on the background and seeing three men wearing fezzes). I determined that the circus was put on by the Orlando Shriners' group. I wrote to their webmaster a couple of weeks ago, with no response. 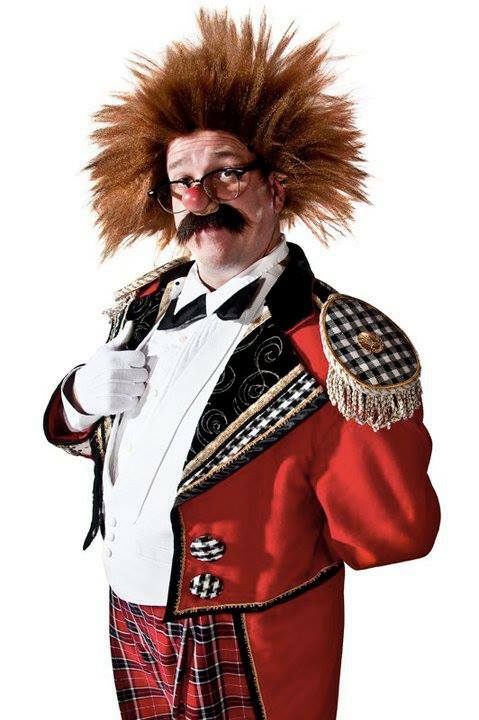 I've also scoured the Internet, looking at thousands of clown pictures, to no avail. 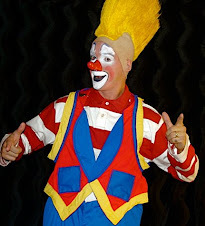 As you can see, the clown's face is largely obliterated. This is why I'm researching this. 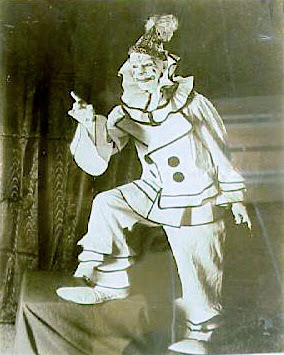 If I can find another photo of the clown, I can work from it to restore this photo, which is a prized possession of my friend's uncle. Otherwise, I'll just have to wing it and hope I come up with something reasonable. If you can help in any way, I'd greatly appreciate it. 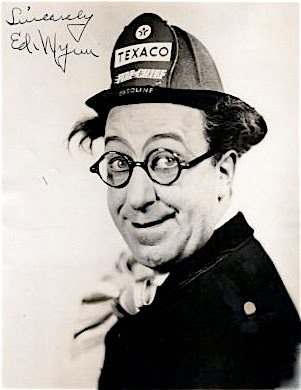 I noticed that Ed Wynn's high arching eyebrows are very similar to the one's in the photo of Little Walter from last week. 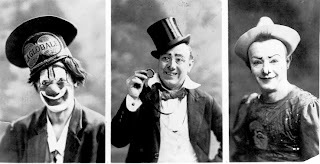 German cabaret clowning from the 1920's. Karl Valentin - Die verhexten Notenständer. 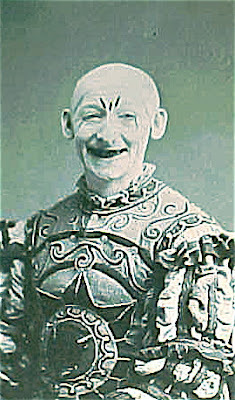 Buzzy Potts in a 1951 publicity photo for the Ringling Bros. and Barnum & Bailey Circus. Rest well dear friend... you are loved.